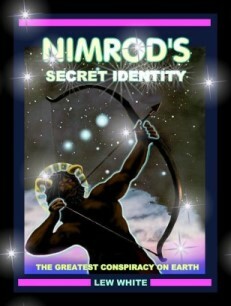 The first man to be worshipped as a mighty-one (GOD) was Nimrod. After his death he was worshipped as the Sun, becoming the model for all future cultures in their worship of the host of heaven. This reign of Babel is the World Order. If we are worshipping Yahuah, we are obeying His Commandments. If we are worshipping the Nimrod Matrix, we are working much harder: running into a steeple every week to pay someone to tell us we don’t have to obey, baking birthday cakes, lighting candles and making wishes, boasting blessings with lifted beverages, carving pumpkins and dressing up for the witchfest, erecting trees in our homes pretending it’s not about the Sun’s birth, coloring eggs and eating chocolate rabbits, decorating the outside of our home with lights, pretending that an authority figure has power “vested in them” to pronounce us married (when it was Yahuah alone Who joined us together in marriage), and so on. If you look through your family photos, they tend to involve occasions the Nimrod Matrix has obliged us to swarm. 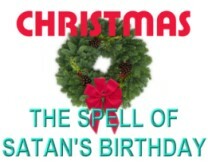 Stop swarming on the traditional occasions, and the family bonds are wounded severely.